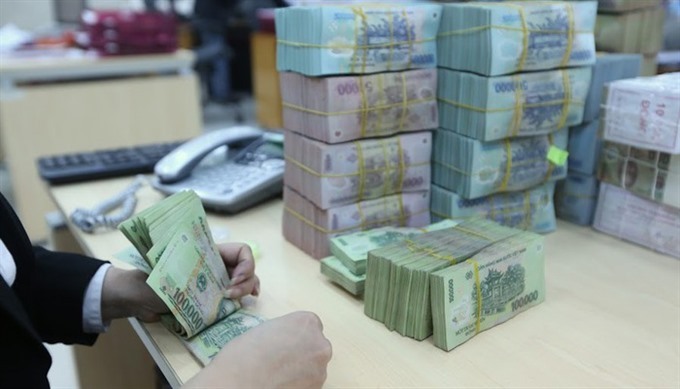 HÀ NỘI — State budget revenue was estimated at a total of VNĐ144.6 trillion (US$6.15 billion) in January, representing a rise of 7.5 per cent over the same month of 2018. The month’s budget collection was equivalent to 10.2 per cent of the target for the full year. According to the latest report from the Ministry of Finance, domestic revenue accounted for more than 83 per cent of the total and rose by 5.3 per cent over January 2018. Revenue from crude oil was estimated at VNĐ4.5 trillion, up 5.7 per cent. Imports and exports maintained their growth momentum in the first month of 2019, the ministry said, adding that trade revenue reached VNĐ19.5 trillion, or 10.3 per cent of the plan for the full year. Budget spending was estimated at VNĐ92.9 trillion. In January, VNĐ30.4 trillion worth of Government bonds were issued. The ministry said that, in January, it asked the Prime Minister to issue a directive on enhancing the use of official development assistance (ODA) funds. An estimated sum of $79 million in ODA was disbursed in January.